16 Mar Thrashing For The New Race Season? Free 2 Day Shipping. As the winter weather breaks we all find ourselves scrambling to get our race cars ready for the upcoming season. 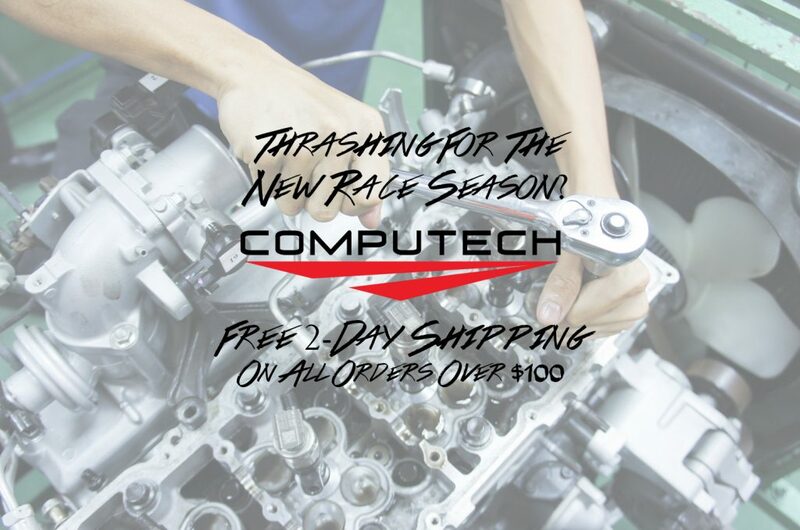 At Computech we are racers too so we’re going through the exact same thing. And we have realized that during this thrashing part of the season, getting your parts quickly can either make or break whether you’re ready for the season or not. So as a thank you to all our customers we are offering free 2-day shipping on all orders over $100. Combine that with our 24/7 technical support and we will make sure you have what you need to start the season off right.